Had a blast being interviewed by Talent Manager Anna Lewkowska for her blog Actors For Lunch. Find out how you push yourself to be a booking actor in Hollywood. Being Talented simply just isn’t enough anymore. Anna and I discuss the ins and outs of acting, training, auditioning and more. Here is to being talented and being motivated. To being an Olympic Actor and going for the GOLD!!! 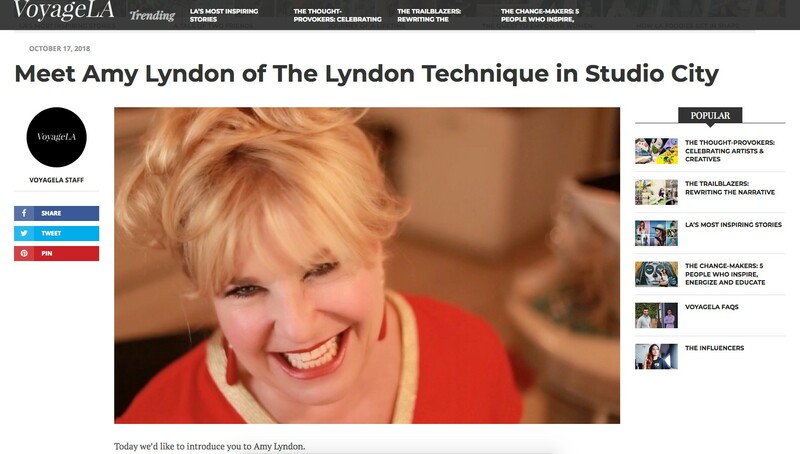 As a renowned celebrity booking coach and author of the world-famous The Lyndon Technique: The 15 Guideline Map To Booking based in Hollywood, Amy Lyndon is famous for turning actors into stars. With 48 Network Series Regulars & counting, 1000’s of working actors around the globe, plus an Emmy Award Winner and an Imagen Award Winner under her belt, Amy Lyndon is Hollywood’s most renowned secret weapon.